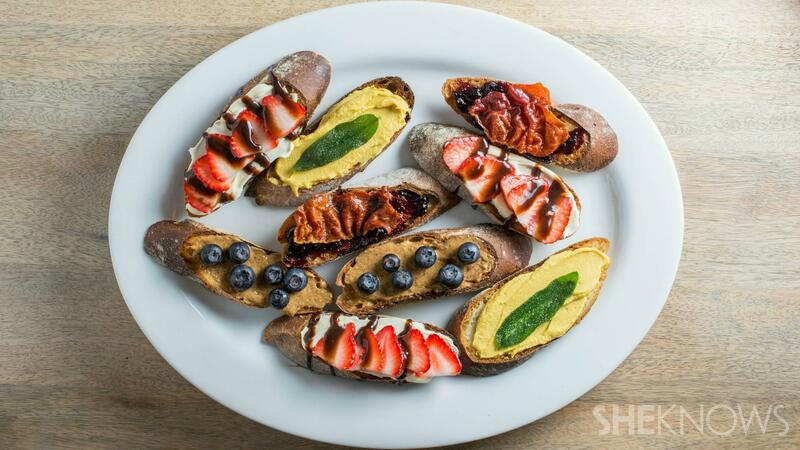 While crostini is an easy party appetizer (what could be simpler than toast? ), it’s also easy to get in a rut with it. This entertaining season, I’ve been branching out and found some crostini toppings so crowd-pleasing, they’re on the path to becoming new classics. Here’s a subtle (or maybe not-so-sneaky) way to serve dessert first. 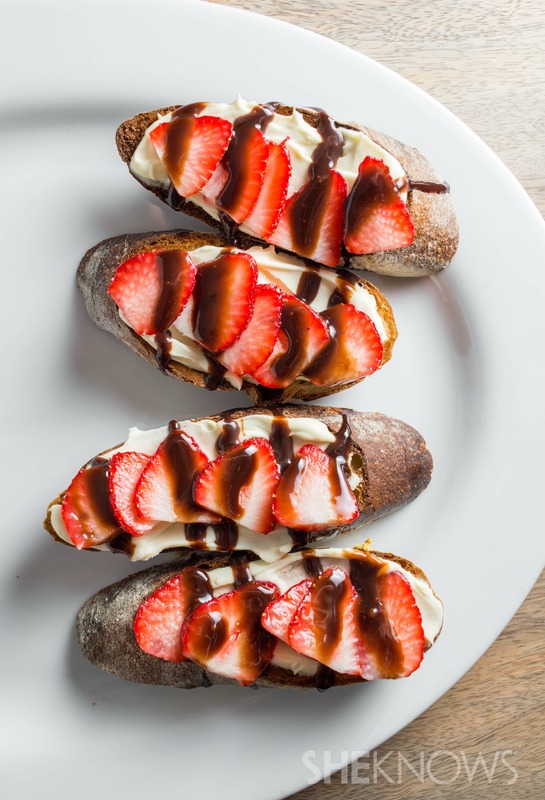 Top your toasty base with sweet, creamy mascarpone, sliced fresh strawberries and a drizzle of either melted chocolate or chocolate syrup. Although it strays from standard savory fare, it’s not so cloying as to be incompatible as a starter. Part of the fun of entertaining is adapting the menu to match the season, and hors d’oeuvres are no exception. 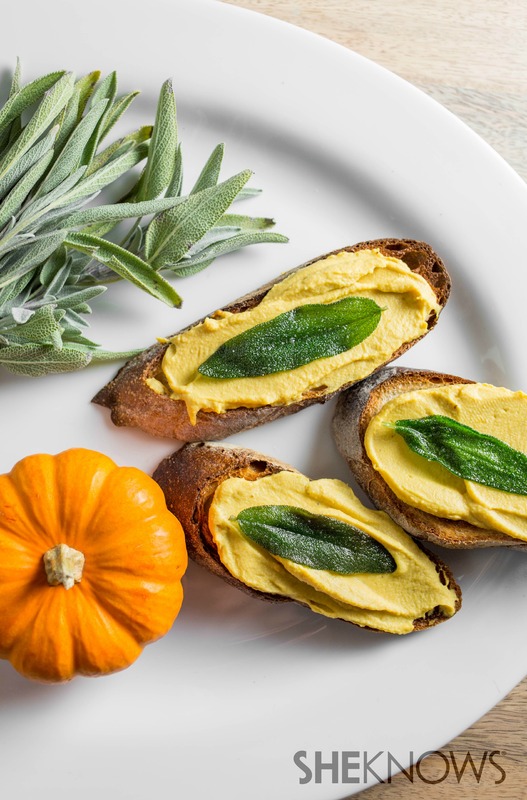 This crostini is perfect for gourd season — just stir together equal parts pumpkin puree and prepared hummus to add a little sweet squash flavor to this common crostini spread. For the sage garnish, heat a small saucepan over medium heat and coat the bottom of the pan with olive oil. Once the oil is hot, fry sage leaves until crispy and bright green (about one minute). Transfer the sage to a paper towel and immediately sprinkle with salt. This garnish adds texture and color contrast as well as an irresistible herbaceous, salty flavor. 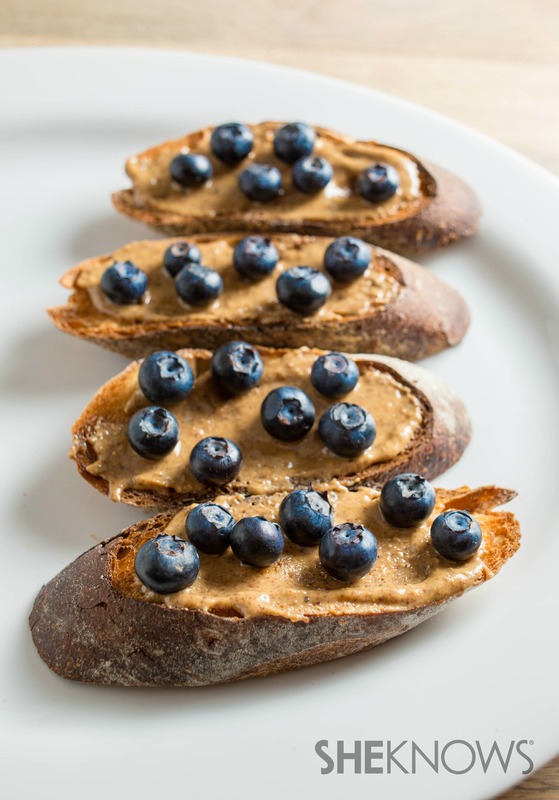 Inspired by the iconic PB&J, this appetizer is as simple as spreading almond butter on toasted baguette rounds and topping with fresh blueberries just before serving. While I originally intended this for the toddlers who frequent our gatherings, it turns out that adults reach for it just as often. For only two ingredients (well, three, if you count bread), this appetizer packs a real punch. 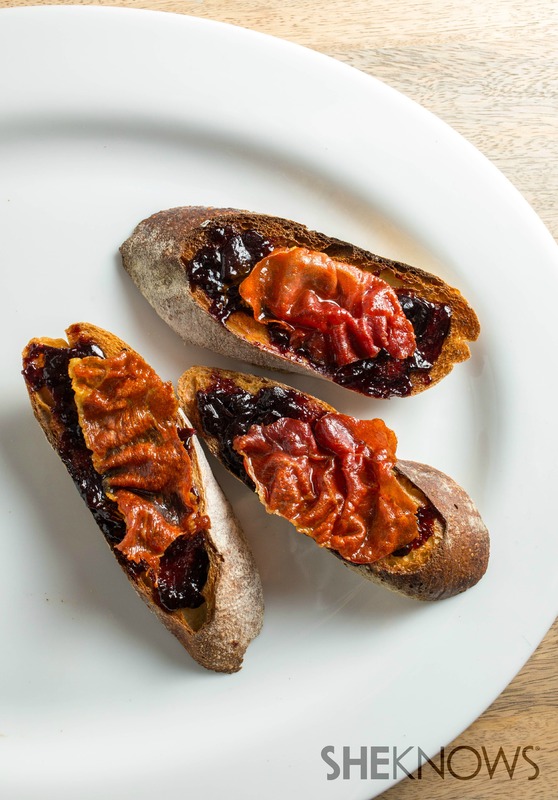 Jammy cherry preserves help hold salty, savory prosciutto. Just heat olive oil in a small saucepan over medium heat, then fry the prosciutto until crisp. If you’re short on time, skip frying the prosciutto and it will still be a flavor bomb to start off the party.